Jane Battersby, Cape Town. Katrin Bohn, Brighton. Christopher Bryant, Montreal. Easther Chigumira, Harare. Evan Fraser, Guelph. Kelly Hodgins, Guelph. Patrick Hurley, Collegeville, PA. Francois Mancebo, Paris. Idah Mbengo, Harare. Innisfree McKinnon, Menomonie. 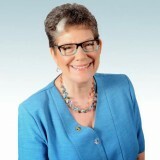 Leslie McLees, Eugene. Geneviève Metson, Vancouver. Navin Ramankutty, Vancouver. Kristin Reynolds, New York City. Esther Sanyé-Mengual, Bologna. Shaleen Singhal, New Delhi. Kathrin Specht, Müncheberg. Naomi Tsur, Jerusalem. Andre Viljoen, Brighton. Claudia Visoni, São Paulo. Jane Battersby, Cape Town Urban agriculture is a weapon of mass distraction, drawing attention away from increasingly unsustainable food systems, absolving state responsibility as it goes. Katrin Bohn, Brighton The concept of Continuous Productive Urban Landscapes proposes integrating networks of connected open urban spaces that are designed to coherently include food producing urban agriculture. Christopher Bryant, Montreal For many cities in relatively temperate climates, Urban Agriculture contributes much to the sustainability of food needs. Easther Chigumira, Harare Through intensification of production on small pieces of land, urban agriculture can augment national food reserves. Evan Fraser, Guelph If there were more incentive for individuals to devote the time and resources to becoming good gardeners, then urban agriculture could play a major role in provisioning North American cities. Kelly Hodgins, Guelph If there were more incentive for individuals to devote the time and resources to becoming good gardeners, then urban agriculture could play a major role in provisioning North American cities. Patrick Hurley, Collegeville Foraging provides another mechanism for thinking about the multifunctionality of urban greenspaces. François Mancebo, Paris While some types of urban agriculture can help make cities more sustainable, others may produce deleterious effects on the city and its inhabitants. Idah Mbengo, Harare Through intensification of production on small pieces of land, urban agriculture can augment national food reserves. Innisfree McKinnon, MenomonieTo make urban agriculture successful, land access must be made available in the nearby urban-rural interface. Leslie McLees, Eugene How can we imagine an urban sustainability? Focus on the connections, safety, and pride, and people of urban agriculture, even in poor places. Geneviève Metson, Vancouver Urban Agriculture could help harness city purchasing power to affect whole food system sustainability rather than only local sustainability. Navin Ramankutty, Vancouver The most important way in which urban dwellers can address urban sustainability challenges related to food is by fostering a transformation of the food system. Kristin Reynolds, New York Urban agriculture’s contribution to sustainability depends on a focus on social, economic, and political equity. Esther Sanyé-Mengual, Bologna How can urban rooftop agriculture in European cities contribute to urban sustainability in environmental, economic, and social terms? Shaleen Singhal, New Delhi Urban agriculture directly contributes to the nexus of water, food, and energy. Kathrin Specht, Müncheberg How can urban rooftop agriculture in European cities contribute to urban sustainability in environmental, economic, and social terms? Naomi Tsur, Jerusalem Before reckoning the area available for peri-urban food-growing, we have to convince the consumer of the advantages of locally produced food. Andre Viljoen, Brighton The concept of Continuous Productive Urban Landscapes proposes integrating networks of connected open urban spaces that are designed to coherently include food producing urban agriculture. Claudia Visoni, São Paulo Cultivating land in the city opens up the gates to the transition to a decentralized mindset that can fix diverse problems. Sustainability is key to our future, and, as urbanization steadily grows, keys to increased global sustainability must be found in cities and how they use and are provided with resources. In this area there has been much excitement about urban agriculture, which for our purposes here we will define as the production of food in and near cities at scales larger than home or community gardens. There are many potential benefits to such efforts, including the support of social movements; economic development; creation of local businesses and jobs; environmental education; community building; and local food security. But does urban agriculture have the potential to contribute significantly to urban sustainability by reducing cities’ dependence on food grown at great distance from the city? Can it produce enough to address food insecurity? These questions are complicated, depending on exactly what we mean by “sustainable”, “great distance”, and some other key words. And maybe the emphasis on food, literally, misses the point when there are benefits in social sustainability. In this roundtable we asked respondents to address the potential for urban agricultural production to make cities more sustainable, and how such potential could be realized. In short, what should we expect (or not expect) from urban and peri-urban agriculture? 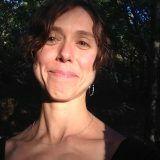 Jane Battersby is the research coordinator of the ESRC/DFID-funded Consuming Urban Poverty Project, based at the African Centre for Cities, University of Cape Town. Urban agriculture, as supported by municipal governments in Africa, is a weapon of mass distraction. It has been heralded as a panacea to a number of urban ills: poverty, food insecurity, waste management, flood mitigation, inter alia. Increasingly, particularly as the Sustainable Development Goals come online, there has been a focus on the potential contribution of urban agriculture to environmental sustainability. Proponents of urban agriculture have been critiqued in the past about over-claiming benefits by using limited data to extrapolate expansive claims. That, however, is not my concern in this piece. Claims of the sustainability contribution of urban agriculture are being used to detract from the responsibilities of the state and private sector to address the environmental impact of the food system. My concern is not about the relative environmental sustainability merits of urban agriculture per se, but the way in which urban agriculture has been used to destract attention from the wider sustainability challenges of the urban food system. This is not the first time urban agriculture has been used to destract from broader urban challenges. When urban governments in Africa became more open and less repressive towards urban agriculture in the 1990s, it was in the wake of structural adjustment-related food price shocks. The changing attitude towards urban agriculture was not due to a collected epiphany about its intrinsic value, but an effort to shift the costs of structural adjustments from the state to the poor themselves and prevent declining urban living standards from becoming a political problem. In a similar way, claims of the sustainability contribution of urban agriculture are being used to detract from the responsibilities of the state and private sector to address the environmental impact of the food system and the planning decisions that are shaping the system. The food system at a global and local level is profoundly unsustainable. Although notoriously hard to calculate, it is estimated that the food system is responsible for at least 30 percent of global greenhouse gas emissions. At the local scale, the food system accounts for over 40 percent of Cape Town’s ecological footprint. The food system in developing countries is undergoing rapid transformation, characterized by increased presence of imported, highly-processed foods, lengthening supply chains and the increased presence of large-scale formal retailers. The overall trajectory is towards a less, not more, sustainable food system, characterized by greater chemical inputs, greater carbon emissions across the value chain, more waste, and other externalities. At the urban scale the privileging of this system increases food and food packaging waste, increases energy demand, increases the overall carbon footprint through increased transport, and undermines local food economies. It is in this context that the latest enthusiasm for urban agriculture and its potential sustainability contribution is situated, supported by local governments, global development agencies, and corporate social responsibility programmes. There are many potential opportunities for local government, working with their existing mandates to address the unsustainability of the existing urban food system, through creating an enabling environment for informal sector retailers, through developing waste management programmes that consider deferring food waste from landfill, through not rolling out the red carpet to large developers who want to rezone agricultural land or build malls that force local businesses out of business. Most of these initiatives, however, are antithetical to the private-sector led, modernizing development agenda shaping African cities. Through focusing on urban agriculture, these urban actors are able to claim efforts to address food security and enhance sustainability, whilst drawing attention away from the sustainability impacts of the business-as-usual food system transformation. Does urban agriculture in itself have sustainability benefits? Quite possibly, but the evidence needs to be interrogated. The more important question is, does urban agriculture increase sustainability across the whole urban food system, or does it simply distract from a system transitioning into ever less sustainable forms? 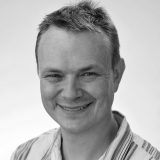 Christopher Bryant is a professor in the department of geography at the University of Montreal. His thirty years of research have dealt primarily with development, including urban and peri-urban agriculture, climate change, and conservation of agricultural land, among other subjects. Urban Agriculture, as defined here, is broad and covers a wide range of farming systems which contribute to many markets. For many city regions in relatively temperate climates, Urban Agriculture contributes much to the sustainability of the food needs of their cities and thus to urban sustainability. They could contribute more under two conditions: 1) that agricultural land and farming activities are really protected from unnecessary urban development such as industrial parks and residential subdivisions that still get parachuted in many developed countries onto prime, quality farmland, even with the support of governments; and 2) that more attention is given to the many new emerging forms of agriculture, particularly forms of agriculture that involve intensive small scale farms that have few negative environmental consequences. For many cities in relatively temperate climates, Urban Agriculture contributes much to the sustainability of food needs. In some jurisdictions, public policies that have encouraged large scale capitalist farming systems can actually restrict these small farms (small in terms of their area, not in terms of their volume of production per unit area) from developing because of restrictions on the creation of small property parcels. These Urban Agricultures already contribute to the food needs of large cities in their regions. Increasingly, the small-scale intensive farms have attracted much attention from particular segments of the urban market. On the one hand, we note that in developed countries many informal small networks of consumers have been established which involve consumers from each network appointing someone to collect food produce from different farms and deliver the produce to other members of their small networks. The key is that these consumers seek out high quality food produce and develop confidence in the farmer producers they interact with, which means they do not have to question the veracity of labels on food products sold in supermarkets! In addition, where these Urban Agricultures exist in temperate climates with good quality farmland resources, these Urban Agricultures can relatively easily adapt to changing climate conditions. At the same time, this means that they also have the potential to contribute to the food needs of certain developing countries where climate change and variability has already made it nigh on impossible for these countries to satisfy their own food needs, such as in several African countries. So even at distance, these Urban Agricultures (particularly those in periurban areas) can contribute substantially to the food needs of other countries and, in this respect, distance is not necessarily a major issue to food sustainability. Such Urban Agricultures also need to have effective forms of marketing and communicating with consumers. This is not too difficult for market segments in nearby cities in many developed countries, as seen in the increasingly important development of informal consumer food networks and even the distribution of food baskets to consumers who are reasonably well-off financially, as well as those who are in dire need but who can benefit from certain social organizations. We also observe the development of food markets in many suburban areas that can respond to the need of many consumers to have some form of direct contact with farm/food producers. But in many developing countries which do not have the capacity to meet their own food needs, it would require other more innovative forms of moving produce to distant markets in these developing countries. 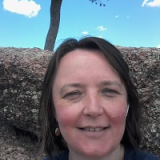 Easther is a political ecologist with an interest in land and agrarian studies. Her current research is centred on understanding urban poverty through the lens of food. Attention to urban agriculture (or UA) has increased during the last couple of decades. UA is increasingly accepted and used as a tool for sustainable development and local food production. This commentary positions UA within the green economy development framework. In this framework, greening urban spaces, especially through UA, creates functioning ecological spaces, alternative sites for food production, and provides solution to the effects of climate change. This development paradigm has gained traction amongst government and policymakers in Southern Africa, particularly in light of the adverse effects of climate change on rural production and livelihoods. Intensification allows urban agriculture to support both local and national food security. We have therefore limited the scope of this paper to focus on how UA can contribute to sustainable local food production, nutrition, and security in the face of climate change, and become a significant component of the national agricultural sector and “an essential ingredient of city space”. We argue that through intensification of production on small pieces of land UA has the potential to augment national food reserves in the face of declining productivity in rural areas. Within a broader green economy framework, UA will make a significant contribution to sustainability and to the well-being of city dwellers—from enhancing local ecosystem services and biodiversity, to reducing urban footprints (Moreno-Penaranda, 2011). The impact of rising temperature, increasingly erratic rainfall, and extreme weather events (flooding/droughts) has affected the agricultural sector in many rural localities in Southern Africa. Most households in rural areas rely on rain-fed agriculture and are susceptible to the effects of climate change, which lowers agricultural productivity and increases vulnerability to poverty. Within this context, former colonial cities/towns, like Harare, which are located in areas of high agro-ecological potential, are sites where UA can augment national food production and reduce food insecurity caused by low agricultural production in rural localities. The geographical location and design of these colonial cities with green spaces and residential gardens allow for the intensification of agricultural production. Agrarian intensification based on increasing crop yields per given area ensures that farming can be done productively on small/limited spaces. Intensification allows for UA to support both local and national food security and minimizes the dependence on rural areas for food production. Based on a survey of low, medium, and high-income suburbs in three urban towns and two rural communities in Zimbabwe, our assessment of the 2015-2016 agricultural season—the driest and hottest in living memory—shows that urban farmers (albeit farming on small pieces of land) had higher crop yields than their rural counterparts, who, in most cases, experienced crop failure. A combination of factors such as soil fertility, higher rainfall, and access to inputs, agricultural extension, and weather-related information enabled urban farmers to fare better than those in rural areas. Further, we noted that there was a higher density of boreholes in these urban areas which were utilised by some farmers to irrigate crops and mitigate the effects of (a) delayed onset of rains and (b) El Niño induced drought. These factors show that urban farmers are more resilient to the effects of weather extremes and urban areas can be key sites for agrarian production and contributors to food security. Livestock production based on rearing chickens and quelea birds (which are considered pests in rural areas) in backyards has grown across African cities as an urban-based farming activity. Chicken and quelea provide affordable meat to low income families. The rearing of these birds for domestic consumption as an alternative/and or complement to crop production is an adaptive strategy by urban farmers to mitigate climate and economic-related stresses. This mode of production demonstrate ways in which urban farmers utilize limited space and creative ways to contribute to food production, nutrition, and security. 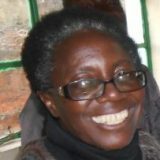 Idah is an environmental geographer with a particular interest in environmental strategy formulation and behavioural patterns of smallholder farmers in the face of climate change. Evan started thinking about agriculture and food systems while spending summers working on his grandfather’s fruit farm in Niagara. His work is on challenges to food security over the next two generations, during which time population growth and climate change threaten to make food harder to produce and more expensive to buy. Theoretically, urban agriculture seems to offer huge opportunities to address food insecurity in both the global North and the global South. In the global North, the promise held out by vertical farming or other intensive urban food production systems and suggests that we can virtuously shorten supply chains, reduce energy intensity, and reconnect consumers and producers, all while boosting the resilience of food systems. These issues are probably even more pressing in terms of the global South, where urban agriculture offers the opportunity for poor urban residents to enhance their livelihoods by providing an alternative means of achieving food security. If there were more incentive for individuals to devote the time and resources to becoming good gardeners, then urban agriculture could play a major role in provisioning North American cities. While in many contexts that have been carefully studied, the promise of urban agriculture is sometimes realized, in many instances the evidence suggests that urban agriculture rarely lives up to its promise. For instance, in research conducted at the University of Guelph in Ontario, Canada, on the potential for urban gardening in North America to be a realistic and viable contributor to food supply systems, we collected data on labour and productivity for urban gardeners. While a small number of gardeners were shown to be extremely productive and produced vast amounts of food on very little land, the majority of gardeners spent a huge amount of money maintaining extremely inefficient gardens. The conclusion we reached was that there is a massive skills gap and that if individuals devoted the time and resources to becoming good gardeners, then urban agriculture could play a major role in provisioning North American cities with a significant amount of fruit and vegetables during the summer months. However, our society has moved so far away from this ideal that it is difficult to imagine policies or processes that would build these skills that have, to a large extent, been lost by current generations. Historic data confirms this, and we can look back to European gardening traditions that emerged during the Second World War and the Great Depression in response to economic deprivation as an illustration of how economic necessity can create a context where urban agriculture is a viable. That said, in the present day, there is very little incentive to develop the skills of an effective urban gardener while there are many other competing demands on our time. Another aspect our research group looked at was the role of urban agriculture in the developing world and, in one study based on data collected in Malawi, we concluded that for extremely marginal households, producing vegetables to be sold on roadside stands provided meaningful income. Urban agriculture was far less important for even slightly better off households who could make more money working menial jobs. In addition, for the people who benefited from urban agriculture, we had to note that this was an extremely precarious livelihood strategy, as the most marginal families never had secure access to land; hence, they regularly lost access to their gardens and all of the investments those gardens entail. The studies that our research team has been involved have mostly have explored urban agriculture at its smallest and least formal scales (the garden). We have not investigated whether larger scale, commercial, and peri-urban agriculture would be any different. However, our reading of the existing literature suggests that commercially viable urban farming may be possible in situations where land prices are low. For instance, if well-skilled gardeners are able to obtain access to sufficient amounts of land such that they can achieve an economy of scale that makes them commercially viable, then urban or peri-urban food production may be a useful food production strategy. Case studies on this include urban farms that have emerged in inner-city America, where significant amounts of formal industrial land has been converted to farming. Similarly, examples from Asia suggest that extremely capital-intensive vertical farms can provide high-end products for affluent urban consumers. However, in most cases, the products that seem viable on such operations focused either on small amounts of high value-added protein or horticulture (especially fresh fruits or salad ingredients). It seems far less likely that urban or peri-urban farming will be suitable for carbohydrate, fats, or the large amounts of low cost protein demanded by sprawling urban populations. Born and raised on a farm, Kelly's understanding of community food security incorporates a deep understanding of farmer livelihood (in)security, but also environmental and political issues, social justice, and inequality. 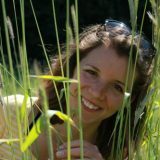 She is project coordinator for Feeding 9 Billion and a research assistant on the Guelph Food Waste Research Project. Patrick T. Hurley is an associate professor in the Department of Environmental Studies at Ursinus College. His research focuses on human-environment interactions and conservation politics in urban and exurban landscapes. With more people living in cities, policymakers, researchers, and residents are pursuing new approaches to urban sustainability. How to design, manage, and use urban greenspaces, such as parks and street trees, in ways that support biodiversity, reduce pollution, and provide other benefits for residents have become key questions. Pursuing nature-based solutions that incorporate this “multifunctional” approach are seen as critical to providing for the well-being of nature and people in cities. This includes determining the relationship of food production within greenspaces. In the US and elsewhere, three overlapping approaches to edible urban greenspaces are emerging: 1) a (re)new(ed) commitment to food-producing gardens and farms in the city, 2) an increase in orchards and edible forests, and 3) a recognition by foragers that existing greenspaces already contain edible species. Foraging for plants in parks and other greenspaces may keep important cultural traditions alive. Much attention has focused on urban gardens and farms in addressing food insecurity. Cities such as Detroit, Oakland, and Philadelphia have been recognized for increases in food production, particularly through vacant lot transformation. While these efforts frequently build on and help reconstruct community food-producing traditions, other more intensive efforts seek to create urban farms in spaces that previously had none, including vertical farms. Whether or not production from these gardens and farms can fully meet the food needs of their residents, with secure land tenure, they can provide access to nutritionally and culturally appropriate vegetables and fruits for many urbanites, including lower income residents and minorities. The rise of urban orchards and food forests represents an expansion of thinking about food from an agricultural perspective. Here, scholars argue that adding fruit trees and perennial berry-producing plants to the garden mix, within vacant lots, and as street trees will enhance food security. Orchard initiatives in Baltimore, Philadelphia, and Seattle appear to be expanding the availability of fruits, with some neighborhoods experiencing concerted efforts to plant fruit trees. The efforts of organized groups, such as in Los Angeles and other cities, to harvest the existing and unused fruit from these trees—so-called gleaners—further contribute to efforts to find food for city residents, including the homeless. Outside the US, such as in Germany or Turkey, the presence of abundant fruit trees may also support gleaning efforts that accomplish similar goals. Foraging provides yet another way for city residents to find food, including fruits, from wild and managed plants across diverse greenspaces (i.e. institutional campuses, cemeteries). Frequently, these harvests include species not fully appreciated for their edibility or nutritive values. Foraging also creates opportunities to learn about local ecologies and develop closer relationships to nature. 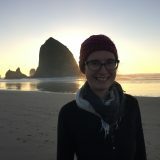 Research by Melissa Poe (Washington Sea Grant), Rebecca McLain (Portland State University), Marla Emery (US Forest Service) and myself in Seattle demonstrates how residents incorporate myriad harvested materials from trees, shrubs, and groundcover into their daily lives (e.g., raw consumption, ingredients in meals, processed for later consumption). In Philadelphia, students and I have documented how the “Wild Foodies of Philadelphia” use social media to foster learning about diverse edible and medicinal plants in the city’s parks, cemeteries, and other greenspaces. As with foraging meet-ups in other cities, organized tours mean that individuals can learn about local plants, find interesting foods, and spend time with like-minded individuals. Foraging is not just about recreational engagements with city plants. In New York City, Marla Emery and I have begun identifying differences in species sought out by distinct cultural groups and motivations for foraging. This research reveals how foraging may provide culturally appropriate—and sometimes unavailable—foods for immigrant communities. Foraging for plants in parks and other greenspaces may keep important cultural traditions alive. Such was the case in Seattle, where some residents foraged to maintain access to important foods associated with indigenous traditions. 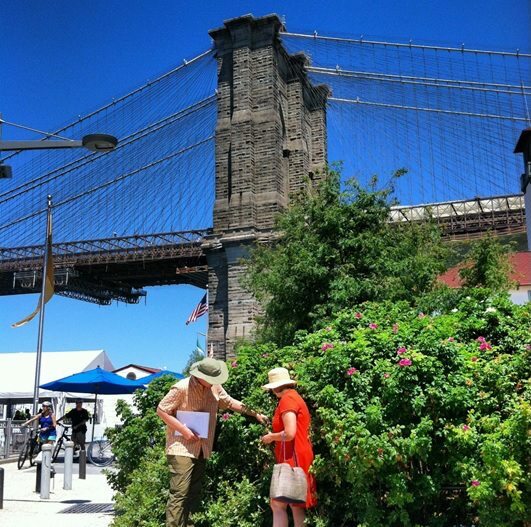 In New York, foraging may also contribute to the diets of individuals and households who are living below the poverty line. Or, as was the case in Syracuse, New York, foraging may be a critical component of meeting short-term food needs for an immigrant group whose urban garden was vandalized and crops destroyed. 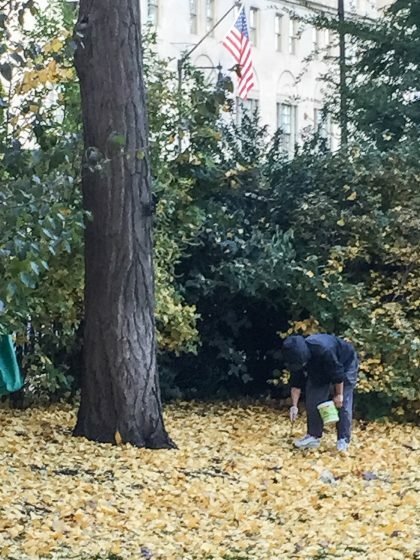 Whether foraging can meet the full caloric and nutritional needs of urban residents is, as of yet, unclear. In some cases, foraging fosters recreational eating and belonging, while in others—as with gardens and orchards—harvests help maintain important cultural practices or meet critical short-term needs. Thus, our research suggests that foraging itself serves multiple functions for those who practice it. But more importantly, it provides another mechanism for thinking about the multifunctionality of urban greenspaces. This is true both for thinking about management interventions and how urban residents currently interact with existing urban greenspaces on their own terms. Our ongoing research suggests that in discussions about urban sustainability and whether cities can address residents’ food security, there is a need to think about intersecting goals and their application to a wider range of greenspaces. Can urban agriculture contribute to urban sustainability? A seemingly simple question, but a pretty complex answer. How to make a bold statement to ignite a debate? My provocative answer will be “P’têt ben qu’oui, p’têt ben qu’non“, which can be translated to “Maybe so, maybe not”. An expression—a stereotype—supposed to characterize the cunningness of Normandy’s farmers in French popular culture, this phrase means that you’re choosing not to choose (when you’re asked to choose), which is already a big choice. It means refusing to enter a simplistic framework for thinking. The first thing to determine when dealing with the contribution of urban to urban sustainability is: Will this agriculture be at the service of the inhabitants? Yes, while some types of urban agriculture can help make cities more sustainable, others may produce deleterious effects on the city and its inhabitants. Urban agriculture is not sustainable in nature. Basically, it is all about cultivating, processing, and distributing food in town. This being said, there are very different types of urban agriculture that don’t have much in common except that they are about growing edible plants in the city: intensive vertical farming, pockets of conventional farming—mainly orchards, cornfields and vineyards—incorporated in the city alongside urban sprawl, micro-farming, kitchen and community gardens, etc. These don’t have the same consequences on urban sustainability. 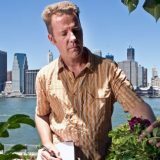 As I pointed out in a recent post, many economic and political players, as well as big farmers doing conventional farming, talk about urban agriculture as being inherently sustainable to sugarcoat this unsavory pill: without their veneer of sustainability, these activities would logically be rejected. Perpetuating the impression of urban agriculture as sustainable is a way of obscuring the issue of pesticides and fertilizer dissemination, as well as the wastes and by-products of industrial urban agriculture, especially in vine-growing or grain-growing regions. Grain and wine are agricultural products with high added value, and regions where they are grown frequently incorporate them in their cities. People are exposed to critical levels of pesticides on a daily basis without even knowing. Yes, cities, farmers, and their non-farming neighbors share more than fence lines, and it can be quite challenging to live near pockets of industrial agriculture. To design a more sustainable urban future, we’d better focus on community gardens, kitchen gardens, crofting and micro-farming, land sharing, low-rise rooftop gardens, or schoolyard greenhouses—which are diverse modes of urban agriculture, but are nevertheless related in the sense that they all develop the potential for people to exercise significant influence over the place where they live. Indeed, apart from the issue of pesticides and fertilizers, the relation between urban agriculture and the sustainable city is not just a matter of food or greening, it is also about inclusiveness and ownership. All things considered, when trying to make a city sustainable, there may be some good sense in promoting urban agriculture instead of manicured, sophisticated-looking green areas, as I advocated in a former post. Why not counteract urban sprawl by fostering what could be called “rural sprawl”, by introducing farming within the city? Such an urban agriculture should be considered as a common good, bringing people together and reshaping the whole urban fabric through long-lasting urban policies, especially those turning environmental “bads”—such as brownfields and wastelands—into environmental “goods”. Urban agriculture in interstitial, abandoned urban areas may be one of cities’ main seedbeds of creative innovation. The first thing to determine when dealing with the contribution of urban to urban sustainability is: Will this agriculture be at the service of the inhabitants? What I love about geography is its inherent interdisciplinary nature. Geographers work within the natural sciences, the social sciences, and the humanities. Cross disciplinary work is key to finding solutions to our most pressing social and environmental issues in the 21st century. The North American fetishization of urban agriculture, as a solution to urban food insecurity and dependence on rural agriculture, turns attention away more viable solutions to these problems. While the U.S. conceptualization of urban agriculture can certainly provide increased access for some small portion of urban dwellers to highly perishable food crops, it cannot provide yields needed to feed large urban populations. The recent interest boom in the U.S. in urban agriculture diverts attention from issues at the urban-rural interface that have a greater impact on urban sustainability. Urban agriculture, like other green spaces, serves the public good, but it is unrealistic to expect that urban farms can provide sufficiency in the food supply needed for urban areas. It is fallacious to proclaim that this is an urban age and so we should concentrate on urban systems in planning for sustainability, when much of the world’s population lives in sprawling settlements in the urban-rural interface. In the Global North, this most often take the form of suburban and exurban, automobile-dependent, sprawl. This sprawling development is problematic in terms of urban sustainability for several reasons. This pattern has a huge ecological footprint because of automobile dependence, embedded energy costs, and energy used to heat and cool large single family homes. Unchecked sprawl also threatens much of the world’s most productive farmland, as cities are often built near rivers and the rich riparian sediments that surround them. North American urban agriculture is typically premised on a few elements. A farmer or farm director, along with a few part-time staff or interns, are expected to make a living from the sale of farm products to urban consumers, often in combination with income from educational programs or grants. This system, which must still compete in the market with more efficient rural production, cannot provide affordable food to the urban poor and leaves the farmer and farm employees struggling to make a basic income. Even if this model exists in an urban area with large areas of abandoned land available, urban farms, because of their recreation and community building functions, tend to encourage redevelopment processes that increase land values and development pressures. Urban agriculture, like other green spaces, serves the public good, providing recreation, education, and increased social connections. Some urban agriculture should be protected as part of park and educational planning for cities, particularly to educate young people about food production, though it is unrealistic to expect that urban farms can provide sufficiency in the food supply needed for urban areas. If we want to ensure food security and a localized food supply, a direct access strategy—like the Eastern Europe’s dacha system, where urban residents are provided with small farm plots within the urban-rural interface—rather than commercialized farming within urban centers might be more productive. These plots provide recreational and social values for their owners and contribute to household food security for low income families. A dacha-like system would also set aside productive farmland at the urban fringe, protecting it from harmful sprawl. Dachas are typically significantly larger plots than those that are available to urban residents through home gardens or small community garden plots. The lack of affordable and secure access to land reduces the number of new U.S. farmers and threatens the economic viability of new small farms. Most small U.S. farms now rely on non-farm income to support their households. There isn’t enough land within central cities to grow significant amounts of food if we want to maintain urban densities, so land access must be made available in the nearby urban-rural interface by taking land off the market through public ownership, land trusts, or permanent conservation easements, thereby protecting land for small family farms and dacha-like plots. This would provide multiple societal benefits, and contribute to sustainability by ensuring food security for the poor, limiting sprawl, and by reconnecting urban people with the land. 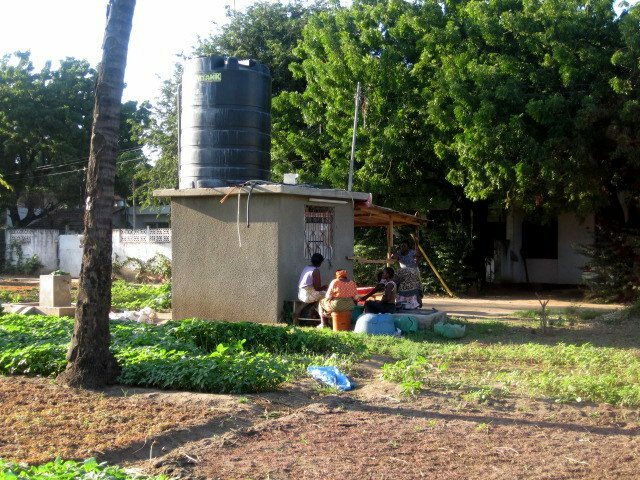 Leslie McLees focuses on the social dimensions of urban farms in Tanzania to legitimate the ways that people not only survive, but thrive in cities. Much of the work on urban agriculture in developing areas has focused on nutrition or contributions to household income, especially in Sub-Saharan Africa. The focus has been on the political economy of the practice, rather than on social and environmental sustainability, which is a common lens in more economically developed places. 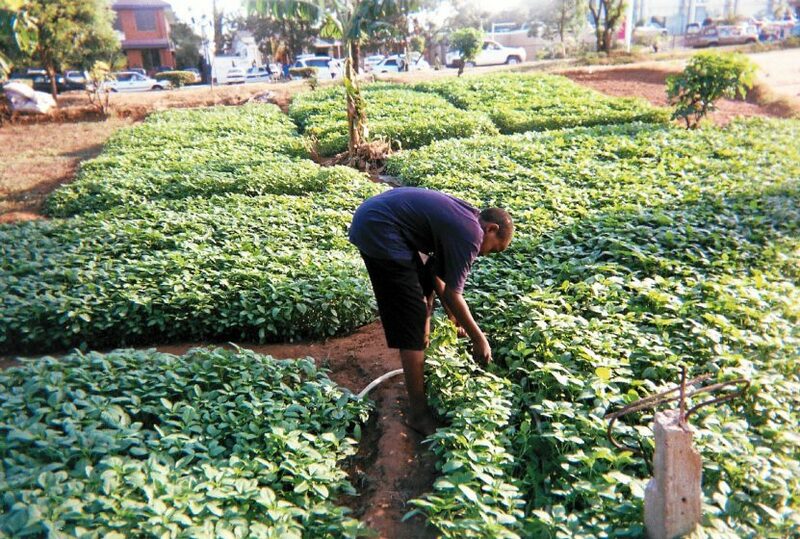 In Tanzania, urban farms are nodes of connectivity in the city that integrate farmers and passerby in ways that sustain their economic and social security. In Dar es Salaam, Tanzania, where my own research took place, the practice is legally ambiguous: technically it is legal, but no spaces are zoned for it. Yet open-space farms—with five to hundreds of farmers cultivating individual plots of veggies—can be found throughout the city. While the debate over the legitimacy of farming remains mired in the environmental concerns of the practice, the social components of how these spaces are actually used and embedded in the larger urban system can tell us how, and what, it can contribute to an urban social sustainability. From my own work, I found that the ways these spaces are used contributes to the livelihood and ‘sustainability’ of individuals beyond nutrition and money (though of course, both of those are important). Most farms are organized into professional groups, which provide social and economic support when individuals experience hardship. They help each other when someone is sick or travelling. They work together to resolve conflicts or buy materials. These groups are often one of the most important social networks the farmers engage in. I was in Dar during an election year (2010), and saw how farms were important political gathering spaces, both for the ruling party (CCM) to distribute kanga (decorative cloth) and hats for people to wear and display, and for political rallies. In fact, some farms had small concrete platforms with CCM flags that provided the base for those rallies. While many farmers did not personally support the CCM, they outwardly demonstrated their support in order to not face harassment by city and party officials and to ensure that they continued to receive (often informal) support from government officials. People in the city use farms as safe spaces. Clearing an area of brush is valued as eliminating hiding spaces for thieves (real or imagined) and removing snakes and other dangers from the pathways people travel. Children walk to the farms on the way to school and are watched (and sometimes chided) by farmers. Women I talked to who travelled through said they feel safe walking through farms rather than other brushy areas, both because of the safe pathways and because of the people there who they eventually get to know. Which brings us to one of the most useful ways people use farms: creating social connections. Customers, people walking through, people who live nearby, people looking for a day labor job, and more, all interact with farmers. These are spaces of interaction and connection where farmers and people using the farm make contacts that may help them somehow in the future. In a city with no Craigslist or help-wanted advertising, and dominated by the informal economy, these almost ephemeral, yet very tangible, connections can find someone a new job, a better house, a date, tools they need, and much more. Farms are nodes of connectivity in the city that integrate farmers and passerby in ways that sustain their economic and social security. In a city where life and well-being can be fragile, being outside and in the path of other people provides a substantial network of resources to rely on. And it must be said that farms are not all hard work and scheming for connections. In fact, while all farmers in my research talked about how difficult farming is, many (though not all) of them said that they were proud to be farmers, to be their own boss, to contribute to feeding people, and to be independent. They enjoy the sociability of farms; chatting with customers, other farmers, and passersby. Farmers, too, have a sense of pride that reinforces—nay, sustains—their continuation of the practice. 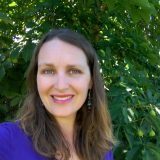 Dr. Geneviève Metson is a US NRC postdoctoral research associate working on urban and food system sustainability with a focus on phosphorus. Urban agriculture (UA) can and should have a role in urban sustainability, but this role may be more indirect, perhaps even mental rather physical, than some of us may think. We cannot divide rural and urban sustainability when it comes to our food systems. Most people live in cities and, as such, the sustainability of the rural landscape that cities depend on to produce the large quantities of food they need must be viewed as a key urban sustainability priority. Urban and peri-urban agriculture I think may be a lynch-pin in decreasing the mental distance between urban consumers and “rural” producers, harnessing cities’ enormous purchasing power to benefit people and environments along the whole food chain. Urban and peri-urban agriculture may be a lynch-pin in decreasing the mental distance between urban consumers and “rural” producers. Much of UA research up to this point has focused on the local social and environmental benefits that UA may provide, and they are real; but they may not be the biggest contribution of UA to urban sustainability. Take for example my area of research: sustainable phosphorus management, an essential nutrient for plants. As cities concentrate people, they concentrate organic waste (food and garden waste, as well as human and animal excreta) which is high in phosphorus. If these wastes are not treated, they can create water quality and subsequent health concerns, but they also represent a resource if they can be recycled back into our food production system, contributing to a circular economy. Can UA and sustainable practices in UA influence how cities use their purchasing power to influence their whole food system? We require more research and practice to determine if and how UA can be an incubator to test technologies, practices, and policies that promote social equity and environmental integrity in cities, subsequently creating ripples through the global food system. Perhaps nutrient recycling technologies and distribution logistics, piloted with close-by urban farmers, municipalities, and private waste companies, can then be used to develop larger regional markets for recycled nutrients. By reminding urban consumers what it takes to grow food through UA, perhaps we can change how they purchase food from farther away. Cities, through their experience with regulating and supporting UA, could also decide to create policies that influence the full footprint of food (the total natural and human resources used to produce food) that is imported into their jurisdictional boundaries. Building sustainable and resilient food systems, which are an integral part of urban sustainability, will take a multi-pronged approach. I think UA can be part of this change and an important part of UA’s potential lies in changing how cities think of food globally. 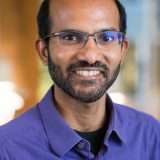 Navin Ramankutty is a Professor at the University of British Columbia whose research addresses global sustainable food security challenges. Urban Agriculture has an important role in urban sustainability, but the key pathways are probably not the ones you may be thinking of. There are numerous ways to parse the question on whether urban agriculture has the potential to contribute significantly to urban sustainability. Let’s take the issue of urban sustainability first. There seems to be a widespread notion that, for cities to be considered sustainable, they need to produce or access resources from and process waste within the city boundaries. Classic examples are studies showing that the ecological footprint of cities are much larger than cities themselves. Urban sustainability does not require sourcing resources from nearby. Food transportation is not the biggest source of greenhouse gas emissions from the food system. And urban food production potential is limited in places where it could make a difference. But I find this reasoning flawed. The sustainability question should really be considering the counterfactual question: will the total footprint of humanity be greater if people lived more diffusely? If people choose to live in dense environments, they will certainly have to draw resources from the unpopulated hinterlands. Consider this extreme thought experiment: What if all of humanity lived in a single really tall building? Would sustainability dictate that our footprint be smaller than the building’s footprint? No. As long as our footprint doesn’t exceed the area of the planet, we are fine. A proper assessment of urban unsustainability requires more than a simple comparison of its footprint to its boundary. But then, you ask, are we not emitting greenhouse gases by shipping food across great distances to meet the demands of urban dwellers? Yes, this is a problem. But again, one needs to consider the counterfactual. Is it better to buy bananas from Costa Rica, or to grow bananas in a local greenhouse using lots of energy? The right answer is that it will be more sustainable if people in temperate regions don’t eat bananas at all, but rather eat apples. But numerous “life cycle analyses” have shown that the emissions associated with transporting food are minimal compared to the emissions associated with producing food. From that perspective, it is more important to consider what you are eating (beef versus lentils) than where your food is coming from. Of course, it will be more sustainable to consider both. But, if we take particular foods, there will be many contexts where it will be better to import the food than produce it locally. So, while sourcing food from great distances is not the most sustainable option, it might sometimes be more sustainable than producing it locally; and more importantly, eating local might not be our greatest leverage point for achieving food system sustainability. I will finally take up the question of urban food production potential. Again, let’s do a thought experiment. Currently, about 12 percent of the world’s land is cropland, while 0.5–3 percent is urban (there is large variation in estimates, bu the truth is closer to the former, in my opinion). If we devoted 100 percent of our urban areas to food production (no dwellings anymore), urban crop yields would need to be 4–24 times higher to replace food that’s currently produced in cropland!! That’s a tall order. My research team published a study on this in 2014, looking at just vegetables, which is the focus of most urban agriculture. We asked the inverse question—what fraction of current urban areas would be required to produce 300 grams of vegetables per day (the WHO recommendation for individual consumption)? We found that, globally, we would need to devote 1/3 of urban areas, but there was great regional disparity. In rich countries, where food availability is not a major issue, we found that little urban land is needed to meet the demand for vegetables. But in poor nations, where in fact urban agriculture could serve a critical need, greater than 100 percent of the urban area was needed simply to meet recommended vegetable consumption. Simply put, in countries where urban agriculture could serve a critical need, we cannot even produce a sufficient quantity of vegetables. In closing, I feel that some of the often-proposed benefits of urban agriculture may be a distraction from dealing with urban sustainability challenges. Urban sustainability does not require sourcing resources from nearby. Food transportation is not the biggest source of greenhouse gas emissions from the food system. And urban food production potential is limited in places where it could make a difference. I believe that the most important way in which urban dwellers can address urban sustainability challenges related to food is by fostering a transformation of the food system through changing dietary patterns, reducing food waste, arguing for better land use policies, and supporting sustainable farming operations through their purchases. And urban agriculture can certainly play an important role in this regard, by making people care about the food system, what they eat, where their food comes from, how it is produced, and so on, and by making them more active participants in the food system. Kristin Reynolds is a critical geographer and urban food systems scholar in New York City. 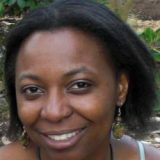 Her research focuses on urban agriculture and social justice using action research approaches. Her co-authored book Beyond the Kale: Urban Agriculture and Social Justice Activism in New York City (2016, University of Georgia Press) examines the efforts of urban agriculture activists, primarily people of color and women, to create more socially and environmentally just urban systems through farming and gardening initiatives. Urban agriculture can provide many benefits to cities including increased access to fresh and culturally-acceptable food; venues for environmental and nutrition education; green space; and, as a form of green infrastructure, absorption of stormwater and support for urban biodiversity. Over the past two decades, planners, policymakers, and non-governmental funders have begun to recognize these and other benefits of city farms and gardens, and have lent more support to a practice that was for decades viewed as an inappropriate use of urban space. Since urban agriculture can increase food access for low-income city residents, all forms of farming and gardening are presumed to do so. This narrative often gives short shrift to social, political, and economic equity. In the United States, state-level and municipal governments are now supporting urban agriculture through measures such as formal food system or sustainability policy plans; changes in city zoning codes; and tax incentives for commercial urban farming. At the federal level, the United States Department of Agriculture has begun to recognize urban farming as a legitimate agricultural activity (defined as an operation grossing $1000 or more in sales each year) and has funded urban agriculture projects through a number of granting programs. Private foundations have also provided funding for a variety of activities that take place in gardens and farms such as nutrition education and job skill development for low-income youth. Given all of its potential benefits, and the increased support for farming in cities, it is reasonable to see urban agriculture as a contributor to urban sustainability. Yet it is important to consider this question more deeply. The dominant urban agriculture narrative in the United States and many regions in the Global North often conflates potential benefits with generalizable characteristics. (For example, since urban agriculture can increase food access for low-income city residents, all forms of farming and gardening are presumed to do so, even though some commercial operations produce food primarily for sale to high-end outlets and other projects may grow mainly flowers or non-edible native plants.) This narrative, like mainstream sustainability and even urban resilience tropes, often gives short shrift to social, political, and economic equity. As urban agriculture has become more popular in the Global North, and as innovative or high-tech (e.g., rooftop agriculture; vertical farming) and commercial forms of urban agriculture are developed and expanded, critical social justice questions are often downplayed or ignored. As I have examined elsewhere, projects led by individuals and groups with financial resources—often upper middle class and/or white people—are more widely recognized as important drivers of the contemporary urban agriculture system, and this feeds on itself: recognition begets more recognition, often in the form of financial or political support. Meanwhile, there are many urban agriculture projects led by people of color and working class people, as there have been for generations. Many of these community leaders and activists use urban agriculture to address various forms of oppression and exclusion from mainstream economies and political decision-making in cities—in addition to growing food. Often they do this despite having minimal financial resources or being disconnected from policymaking processes through which they might advocate for resources to strengthen their initiatives. Examples of such groups include Friends of Brook Park, an environmental justice organization in the South Bronx (historically one of the lowest income congressional districts of the United States), which oversees a community garden and runs an on-farm alternatives-to-incarceration program for youth. La Finca del Sur, a non-profit farm and garden run by Latina and Black women (also in the South Bronx) focuses on community and women’s empowerment, as well solidarity with women farmers in the Global South. 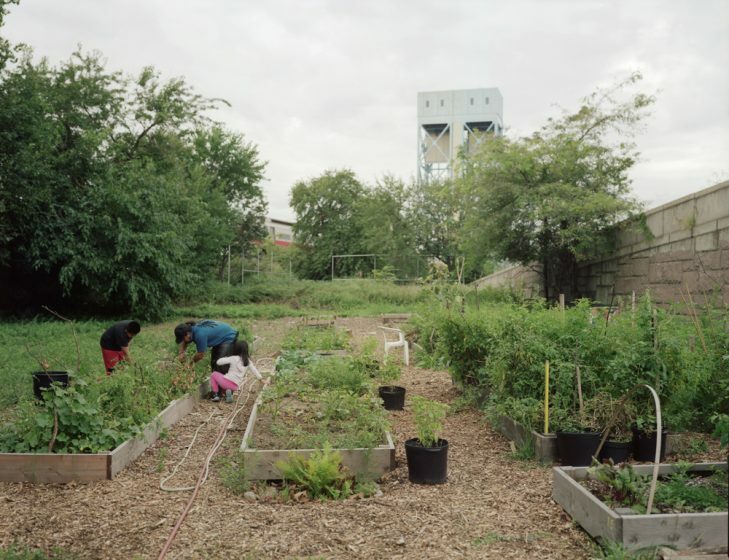 In Bed-Stuy, a historically low-income neighborhood in Brooklyn, members of Hattie Carthan Community Garden run a farmers market and provide a venue to realize self-determination through food production and related activities. These and other projects like them use farming and gardening to explicitly address social, political, and economic equity in food and environmental systems. The question about whether urban agriculture can contribute to urban sustainability must include a discussion these critical social justice issues. Reconsidering urban agriculture along these lines; developing policy initiatives and funding programs to support social justice-oriented initiatives; and shifting the narrative about leadership in the urban farming and gardening movement will help us to realize urban agriculture’s full potential to help create sustainable and just cities. What can we expect from urban rooftop agriculture in terms of sustainability? It is a common phenomenon that people consider food production and consumption as a one-way road, whereby food products are transported from rural areas to the cities. But there are broader visions for food production in the future. Urban agriculture is taking up the idea that the city itself can be productive, too, while so-called waste products (like organic “waste”, “waste” water, or “waste” heat can be used or re-used for food production. 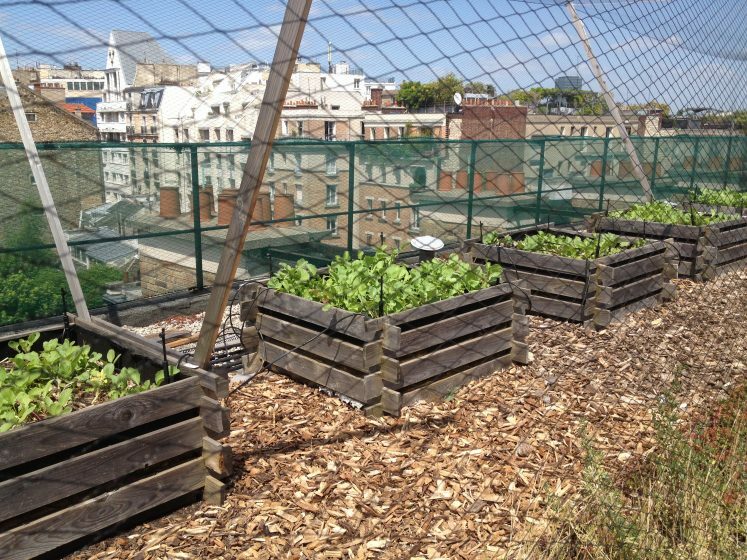 Can urban rooftop agriculture make a substantial contribution to food security in Europe? Not in its current state. We find the topic of urban rooftop farming particularly interesting because we see that roofs are largely unused spaces in most cities, and they have a great potential for food production without competing with alternative uses in the same way that urban agriculture “on the ground” often does. We follow the understanding that sustainability has three different dimensions (environment, society, and economy) which need to co-exist in a balanced manner. All three dimensions must be considered in order to avoid the generation of negative environmental or social impacts when exclusively promoting economic development, for example. Depending on their geographical context and goals, urban agriculture can have very diverse effects. Recently, we investigated the effects of rooftop agriculture in different European cities. One of our studies demonstrates that rooftop agriculture could increase the current production of local food in cities by using those roofs that are currently without a function. Such production would signify food production at “kilometer 0”, since production and consumption are co-located. In the city of Barcelona, local tomatoes produced in a rooftop greenhouse could substitute the demand for imported tomatoes from Southern Spain. This effect generates the reduction of environmental impacts (such as greenhouse gas emissions or energy consumption) compared to the imported tomatoes. The different initiatives of rooftop agriculture can be differentiated in four main groups. Rooftop gardens. Here the food production is not the unique aim of the system. These initiatives are devoted to address social gaps and educational needs. Rooftop farms are business-oriented projects, where food production is the main goal, although it can be combined with other activities. Rooftop engineering initiatives are research- and business-oriented types, where technology development is the major aim (e.g. research projects, start-ups). Landscape rooftop projects are initiatives where, similar to green roof systems, the greening of the space is the main function. These four groups contribute differently to urban sustainability. While rooftop farms have a large contribution to food security, rooftop gardens focus more on community development at the social level. At the moment, rooftop agriculture initiatives in Europe are limited in number and area. This means that rooftop agriculture is not a main source of urban food products, particularly considering the large urban population. However, recent trends in food consumption indicate that the demand for local and ecologically-friendly food is growing and urban agriculture could be a source to feed these types of consumers. Similar to rural agriculture, the environmental sustainability of urban rooftop farming depends on the applied farming practices (use of energy, input of fertilizers, etc.). Therefore, urban rooftop agriculture is not sustainable per se, and the production can be as unsustainable as in conventional agriculture, depending on management techniques. However, urban agriculture covers many particular urban needs beyond producing food, such as education and social inclusion. If we are asked to answer if urban rooftop agriculture can make a substantial contribution to food security in Europe, we can answer: not in its current state. Even though it has high potential to increase production quantities in the future, it can only be considered a part of the whole food system at the moment and a “plus” to rural production. Sanyé-Mengual E, Orsini F, Oliver-Solà J, et al. (2015) Techniques and crops for efficient rooftop gardens in Bologna, Italy. Agronomy for Sustainable Development 35:1477–1488. Specht, K., Siebert, R., Hartmann, I., Freisinger, U. B., Sawicka, M., Werner, A., Thomaier, S., Henckel, D., Walk, H., Dierich, A. (2014). Urban agriculture of the future: an overview of sustainability aspects of food production in and on buildings. Agriculture and Human Values, 31(1), 33–51. 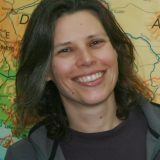 Kathrin Specht is a landscape architect and researcher at the Leibniz Center for Agricultural Landscape research (Müncheberg, Germany). 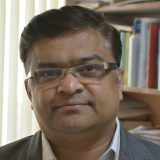 Dr. Shaleen Singhal is a Professor at TERI School of Advanced Studies with 21 years of research and academic experience working on sustainable urban development issues in India and UK. He is a Fellow of the Higher Education Academy, UK and a Visiting Fulbright Fellow for Yale University, US. Projections indicate that urban population rate of change will be significant in the Asia-Pacific region and particularly in China and India. It is also estimated that by 2020, there will be more than 500 cities with a million or more residents, and that the average size of the world’s 100 largest cities will be 8.5 million up from around 7.6 million in 2011 (UNHSP, 2011). While cities are considered to be the main engines of economic growth, accounting for 80 percent of global GDP while occupying only three percent of the land surface, they are severely responsible for unsustainable rates of resource consumption and environmental problems. Urban agriculture directly contributes to the nexus of water, food, and energy. In India’s aspirations for growth, cities and city-regions will have a very vital contribution. While promoting economic competitiveness, the particular focus has to be on human development indicators. To minimise unsustainable patterns of growth, optimise resource consumption, and deal with environmental and socio-economic degeneration challenges, cities will continue to be come into greater focus. The phenomenon of urban sustainability in India thus relates to the “cities striving to improve their performance by exploiting new opportunities for growth and development while counteracting inherited problems in a sustainable manner” (Singhal et al, 2010). The water-food-energy nexus is a vital component of sustainability significantly influencing the metabolism of rapidly growing large– and medium–sized cities and their associated peri–urban areas. Urban agriculture directly contributes to this nexus. The growing practice of urban agriculture is expected to build the resilience of cities in India and other emerging economies for (i) longer-term sustainability as well as for (ii) short-term crisis management. These include the ecological dimension of the ecosystem approach, which focuses on minimising GHG emissions and the ecological footprint of cities for sustainability. Improved local food security and self-sufficiency, coping capacity to deal with change and unexpected food crisis, and reducing urban heat island effect, are some of the immediate known benefits of urban agriculture. Several rapidly urbanising cities, however, are faced with governance challenges; lack of availability of open space accompanied by fast land-use conversion of agricultural land; and poor structural organisation and representation of urban farmers. In such cities, as urban agriculture is mostly practiced along banks of rivers and natural drainage system, it is faced with a greater threat of pollution and polluted produce. This effect results from an increased pressure on already-inadequate infrastructure, such as poor sewerage, drainage, and solid waste management services (Singhal and Kapur, 2002), thus polluting water bodies that are expected to cater to urban agriculture. To deal with this complex, multi-dimensional phenomenon of urban agriculture, comprehensive approaches need to be adopted for assessment and sustainable solutions for cities. A few emerging and innovative ways include: a system-based, dynamic approach to examine forward and backward linkages and boundaries of influence; an urban nexus approach focusing on the sustainable development goals; bottom-up planning of local areas and resources; and urban green infrastructure planning. Furthermore, a transdisciplinary learning process is the need of the hour to decode this very complex but extremely important phenomenon of urban agriculture in cities, particularly in emerging economies. Knowledge networks between cities in mature and emerging economies will facilitate such learning through robust collaborative research led by higher education institutions with contribution from practitioners, NGOs, and CBOs. Singhal, S. Berry, J. and McGreal, S. 2010. Linking regeneration and business with competitiveness for low carbon cities: lessons for India. In India Infrastructure Report 2010: Infrastructure Development in a Low Carbon Economy. Oxford University Press, New Delhi. Singhal, S. and Kapur, A. 2002. Environmental management plans for the communities of Lucknow. International journal of appropriate technologies for water supply and sanitation – Waterlines. ITDG publishing, U.K. Vol. 20. No.4, April 2002. The camp of “believers” in the efficacy of urban agriculture is still small but steadily growing. There are those that say there is no point in talking about it unless you can prove that a city can be food-secure on the basis of food grown in urban and peri-urban farms. It seems that we are required to submit proof that Community Sustained Agriculture can indeed sustain the entire community. Others posit that a developed system of CSA might threaten the livelihood of “real farmers”. Before reckoning the area available for peri-urban food-growing, we have to convince the consumer of the advantages of locally produced food. We are currently debating the role of urban agriculture in the context of its potential contribution to sustainable urban life. In that context, before reckoning the area available for peri-urban food-growing, we have to address a deeper layer of consciousness and promote basic food awareness. I believe this means that, on a parallel track, we have to convince the consumer of the advantages of locally produced food. This is a social marketing campaign that is waiting to happen. If it is successful, then consumer demand should pave the way for increasing numbers of CSA initiatives. Thus far the policy-makers have been out of the equation at the national level in most countries. This seems to be a result of the perception that agriculture is national business, and therefore food production cannot be addressed at the local level. This is yet another expression of the deep disconnect in most countries between local and national levels of government. Are we at an impasse or are we progressing towards more edible cities? Is it possible to measure the positive footprint of CSA, set against the negative impact of cities that bring their food in from great distances? I have just come home from a 2-day conference on the theme of agriculture, nutrition, and the environment. Nutrition and public health experts are bringing a new voice to the table, seeking to combat the global plague of obesity. In Israel, nutritionists are joining forces with environmentalists in the drive to encourage local food production, and to incorporate food growing and nutrition lessons in the regular school curriculum. Unfortunately, the Ministry of Agriculture sees all this movement as a threat to serious farming, whatever that may be, and I know this is true of many other countries. I firmly believe that although quite a few pieces of the urban food puzzle are not yet in place, a global movement supporting local food production is part and parcel of an increasingly urban world. In this brave new world, not only will cities become major agricultural players, but they will also realize the need to have a strong and resilient local economy, which will draw its strength to a great extent from having a self-sufficient food system. The kind of food system that can give real food security to a large city will go beyond the city’s boundaries and spread throughout the bio-shed, and will prosper through constant interaction with all the local food players, restaurants, caterers, food cooperatives, and many others in the hospitality industry. This process is well underway with a tremendous groundswell in the CSA movement. In Jerusalem, where we have been convening a “Food for Jerusalem” forum for the last couple of years, with as many of the urban food-growing stakeholders as we can find, I believe that for serious peri-urban CSA to have the desired impact on the urban food cycle, the CSA farmers should form a coalition. As an organized group of entrepreneurs, they would become a movement, instead of an assortment of farm businesses in competition with each other for the same clients. As an organized force, the CSA farmers could back the kind of social marketing campaign needed to expand their customer reach, together. I am interested to hear if other cities have reached similar conclusions about the strategy needed to expand the urban agriculture movement further than the limited market it has gained. Andre Viljoen is Professor of Architecture at the University of Brighton. 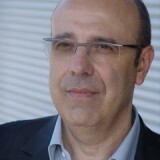 His research, usually undertaken with Katrin Bohn, focuses on sustainable design. In the future, successful cities will be productive in many ways: socially, economically and ecologically. Networks of open space will be essential if cities are to remain desirable and environmentally sustainable. Landscape, like buildings, will become multifunctional, thereby enabling beneficial exchanges between the constructed and natural environments. 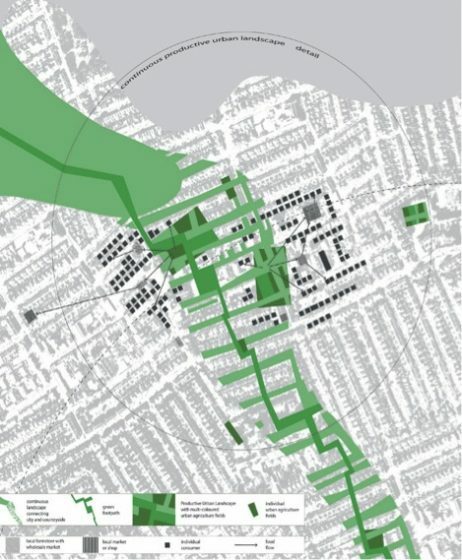 The concept of Continuous Productive Urban Landscapes proposes integrating networks of connected open urban spaces that are designed to coherently include food producing urban agriculture. The phenomenal pressures on cities are well known; the UN department of Economic and Social Affairs 2011 projection for urbanisation estimates that by 2030 the average world percentage of residents living in urban areas will be 59.9 percent and 82 percent in “more developed regions”. Pressure from urbanisation makes access to open urban space an urgent concern. Furthermore, urban populations are experiencing an unprecedented increase in diet related ill health, such as diabetes and obesity. If cities are to thrive, then urban planners and designers need to radically rethink the way cities overcome these challenges, so that they become desirable and environmentally stable. The CPUL concept. Green corridors provide a continuous network of productive open space containing routes for pedestrians and cyclists. A variety of fields for urban agriculture and other outdoor work/lesiure activities are located within the network and serve adjacent built up areas. Image courtesy of Bohn&Viljoen. 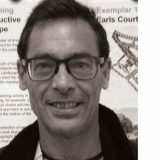 The concept of Continuous Productive Urban Landscapes (CPULs) was developed in 2004 by Bohn&Viljoen and aims to address these problems by proposing an ambitious but achievable strategy for integrating networks of connected open urban spaces that are designed to coherently include food producing urban agriculture. Urban agriculture, which refers to the production of fruit, vegetables, fish, and, sometimes, small animals, within cities, is not new, and each city and culture will have its own tradition to draw upon when establishing a CPUL. But what is new is the understanding of the multiple benefits, in addition to the production of sustainable food, that CPULs can bring to cities. It is likely that in the future, networks of open space will be as important to cities as clusters of buildings. There is much evidence emerging for these assertions. For example, regarding urban biodiversity, in 2010 the United Nations University Institute for Advanced Studies issued a policy report on cities and biodiversity. It noted that, “as the rule of interdependent adjacencies in urban ecology has it: the more diversity, and the more collaboration ‘between unlikely partners’, the better the chances for biodiversity, sustainability, and resilience” (Hester, 2006). Linked to this idea is the concept of Continuous Productive Urban Landscapes (CPULs), which represents a powerful urban design instrument for achieving local sustainability while reducing cities’ ecological footprints (Viljoen, 2005)’ (UNUIAS 2010: 31-32). We may conclude that biodiversity delivers or supports much needed ecosystems services and that it can be achieved by creating “more, bigger, better and joined” (Lawton et al. 2010: 3) resilient and coherent ecological networks…CPULs. The CPUL concept is being applied internationally. 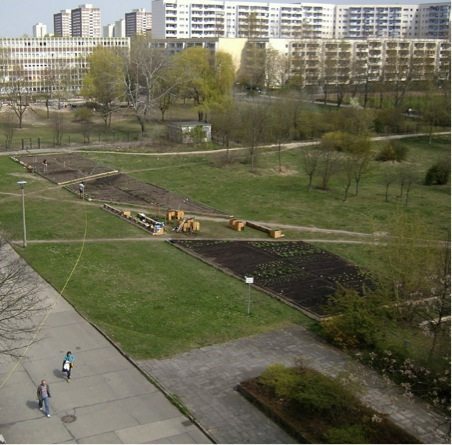 Spiel/Feld Marzahn, Berlin, Germany was initiated in 2011 as a larger scale community food growing project commissioned by the local authority and was designed by Prof. Katrin Bohn with students from the Technical University of Berlin who worked with local residents. This project demonstrates how CPUL spaces can reactivate underused public space and result in “place making”. It has been recognised in Germany for its contribution to the UNESCO decade of education for sustainable development. Photo courtesy of Bohn&Viljoen. There is already a lot of experience in how successful urban agriculture projects are established. Using this knowledge and relating it to the concept of multi-stakeholder planning, a four-point plan of CPUL City Actions has been developed, intended to provide a clearly stated overview of the various processes and activities required to implement CPULs over the long-term. These four actions are: Action U+D = Co-ordinated and mutually supportive Bottom Up + Top Down initiatives and activities; Action VIS = Visualising the Consequences of CPUL proposals; Action IUC = Completing Inventories of existing Urban Capacities for supporting new initiatives; and Action R = Researching for Change. It would be rare to find successful long-term projects with not at least three, but usually all of the four actions evident, although often they have not been articulated as such. The UK’s Arts and Humanities Research Council is currently funding a research network to explore how policy pathways can be developed to support the large number of emerging productive landscapes; the network’s website contains further information. Setting out clear processes, such as multi-stakeholder planning, policy development strategies and the four CPUL City actions, should assist future stakeholders in realising better and more resilient projects in the future, while discouraging projects that are fundamentally flawed. If successfully implemented CPULs have the potential to create more experience for less consumption. The Urban Agriculture Curtain, designed as a prototype by Bohn&Viljoen in 2009, shows how the CPUL concept can be applied within buildings. 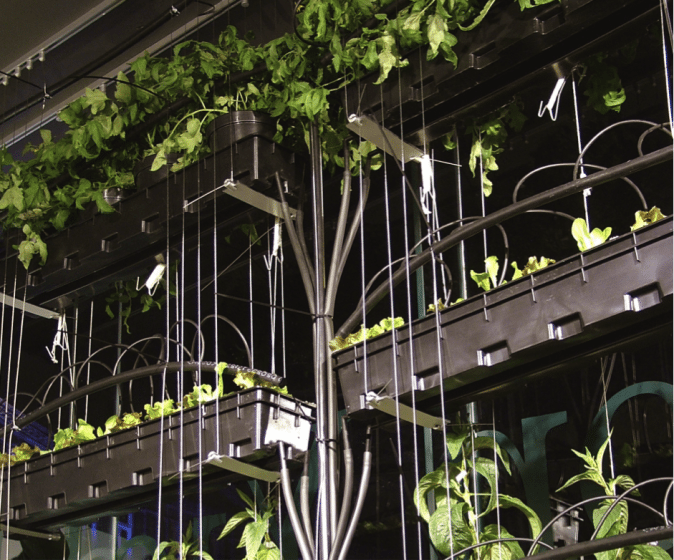 A vertical hydroponic system was developed with Hadlow College for use in London’s Building Centre, to supply salad crops during the “London Yields” exhibition. For further information see our the companion volumes: Second Nature Urban Agriculture: Designing Productive Cities. Winner of the 2015 RIBA Presidents Award for Outstanding University Located Research. and Continuous Productive Urban Landscapes (CPULs): Designing urban agriculture for sustainable cities. Shortlisted for the 2007 RIBA Presidents Award for Outstanding University Located Research. 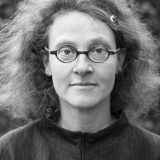 Katrin Bohn is an architect and a senior lecturer at the University of Brighton. 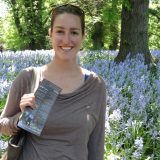 Together with André Viljoen, she has worked widely on the design concept of CPUL [Continuous Productive Urban Landscape]. 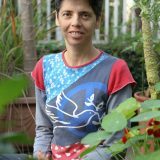 Claudia Visoni is a journalist, environmentalist and urban gardener from São Paulo. It’s very obvious that we urgently need more urban agriculture in every city around the world, maybe until rural and urban areas become so interconnected that we all will live (again) in the Garden of Eden. I’ll leave the figures to my talented colleagues and focus on the many cross-benefits of urban food production and community gardening. Cultivating land in the city opens up the gates to the transition to a decentralized mindset that can fix diverse problems. An urban edible garden is the opposite of a viaduct. A viaduct has just one purpose (speed up traffic from point A to point B) and several terrible side effects for every form of life around it. The edible garden, however, even if it’s only one flourished square meter in the middle of a “bad” neighborhood, is a refuge for nature and people, a spark of hope for a better world. Let’s ignore for a moment the big environmental challenges humanity is facing right now and that our food system is neither resilient nor sustainable. Even if nothing like these problems were happening, I’d still be here speaking for urban agriculture. Cultivating land in the city opens up the gates to the transition to a decentralized mindset that can fix so many other problems brought by globalization and an economic system based on the destruction of biomes. Empowering communities. Is there a better place to meet the neighbors and make acquaintances than in a garden? 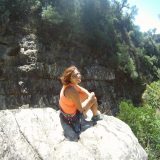 Educating about nutritional: we rediscover forgotten edible plants, every harvest is a pretext to exchange recipes, and… we start to eat more and more vegetables! Providing free entertainment and health benefits: gardening is a physical activity in the open air combined with the opportunity for sunbathing, chatting, and laughter. I don’t recall urban agriculture ever being referred to as a ‘panacea’ addressing a variety of urban challenges. This is partly due to the fact that applications of UA are highly contextual, driven by factors that are locally specific (or at times inhibited–particularly in cities in many developing countries). UA is perhaps better understood as a complementary element, integrated into a wider system, which seeks to address a host of urban needs–beyond food. 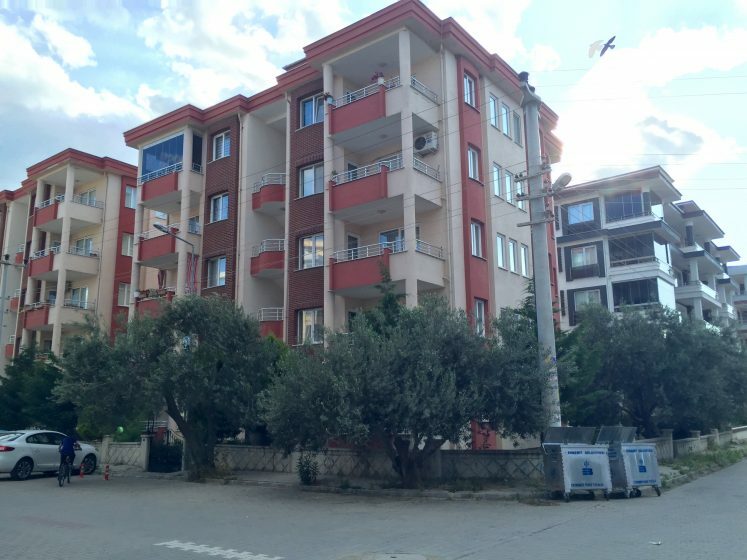 Without local support, which includes good urban governance linking a variety of institutions and groups, UA is unlikely to influence positive change for urban sustainability. The potential is there, for example, studies have explored the spatial and physical capacity of cities and their peripheries to produce enough vegetables in relation to real consumption patterns. One such study identified 22 countries (from a sample size of 165 cities) that would require less than 10% of their cultivatable urban area to satisfy urban vegetable demand, due to low urban population densities (Martellozzo et al, 2014). This can be placed in the context of cities with high urban densities, such as New York City and Boston, where extensive zoning for urban agriculture have been prioritized by city officials and supported by residents to expand local food production and enhance social justice. Global challenges related to urban sustainability and climate change have provided the catalyst for innovation in urban food production. This can be seen in designs for rooftop food systems (also green roofs and walls for improved energy efficiency), to tap into the production potential from underused roof space (http://www.cityfarmer.org/subrooftops.html). The often high initial costs of these systems are being off-set by institutional investment, which can drive further investment, innovation and marketability of these rooftop solutions. The social use value of UA is also perhaps underestimated in discussions concerning broad understandings of urban sustainability. For instance, UA activities, such as community gardens, has improved environmental and nutritional/health awareness, even among those community members that are not directly participating in urban gardening, where the existence of the urban gardens, farms and local food markets are making a difference in daily urban life. It is possible to link UA with social and economic use values for urban sustainability–but its manifestations will differ from place to place. It is not surprising that people–at the grassroots levels–are driving this, but it will only go so far as local and institutional support, and city-community partnerships, are willing to take it. This is in response to François Mançebo’s recent post. I agree that we should be wary of what so-called sustainable urban agriculture really means. And this include community gardens, allotments, roof top production … When we ‘dig’ further, we often find that even some of these units are not really sustainable from an environmental point of view nor from a human health perspective. And there are some large scale farms in agglomerations or just at their limits that really do engage in sustainable processes of production from both the environmental and the social perspective. This means that it is difficult to state that such and such a type of farm or production process is sustainable or not sustainable without really understanding the production processes that are actually used. I completely agree with Claudia Visoni’s comment. But the negative consequences “high tech” urban agriculture don’t concern only food systems. As I mentioned, in my text and in a former post (http://www.thenatureofcities.com/2016/04/08/confronting-the-dark-side-of-urban-agriculture/), this type of urban agriculture has no interest whatsoever to bring people together and give them a sense of ownership, which is fundamental when trying to foster a sustainable city. The actual craze for urban agriculture, has drawn attention of many economic players, large building companies, architects looking for inspiration (and celebrity), and big farmers doing conventional farming. For them, urban agriculture maybe considered as a mean to sugarcoat the pill when maintaining conventional farming in the city or to developing urban projects—like high-rise buildings—that otherwise would have been taken very badly by the people living there. I agree wholeheartedly. One must never forget the small scale food production initiatives by individuals and their families as well as by some relatively far-sighted urban administrations. There are thousands of examples of families operating a family garden in an ‘urban area’ … just as you can find allotment gardens in rural areas going back well over a hundred years in some countries such as the UK (where I came from a long time ago). One must also recognize that these small scale ventures also support other functions in addition to food production such as the integration of new immigrants into urban society. There are also a variety of ways in which students and pupils can learn about food production and the strengths and weaknesses of different systems of food production. Schools certainly have an important role to play if they want to to! And some universities also support different forms of food production, sometimes on their own campus and sometimes on land external to urban agglomerations either directly or simply by encouraging their own restaurants and cafés to purchase sustainably produced foodstuffs from other farms and initiatives. Please note that in the comments regarding Urban Agriculture, some confusion has arisen over the meaning of ‘Urban’. In point of fact, there is considerable overlap between Urban and Periurban, mainly because the limits of cities and urban agglomerations also include very often open agricultural spaces and at the same time in areas surrounding cities one can also find many examples of forms of agricultural and food production that have been associated with Urban forms … because of this tremendous overlap, a recent large scale project on Urban Agriculture in Europe managed by Frank Lohrberg at the University of Aachen explicitly used the term Urban to include what we used to think of as Urban in the City AND Periurban Agriculture. This project (in which I was one of the International Experts included 26 countries and over 160 researchers. The results were published in 2016 in a book entitled Urban Agriculture Europe, published by Jovis and including 230 pages. 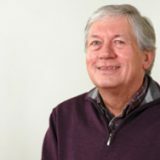 I have been undertaking research and practical interventions in urban agriculture in its different forms for just over 50 years, and you can see some of the results on my profile on Research Gate. Jane Battersby made a good point. I’m seeing several “high tech trends” on urban agriculture that are not sustainable at all. Too expensive, only landscape performance. Sometimes giving the impression of being distraction weapons against the emerging conscience about the terrible social and enviromental consequences of our food system. But I believe that urban agriculture can also be a political statement for a new paradigm of food production. Here in Sao Paulo, were I live, middle class community garden voluteers are more and more getting in touch with “real” agroecological farmers and helping their claims to be heared on the political arena. I thought I would chime in, just briefly for now, as I haven’t had a chance yet to read all the contributions. From my own perspective, it’s not that urban agriculture is not useful. It’s whether it is the big leverage to solve our food security and environmental sustainability problems. In other words, I worry that an excessive focus on urban agriculture may lead us to forget the many problems of rural agriculture that are extremely important to deal with. And the majority of the world’s poor are rural farmers. So, to the extent that urban agriculture raises awareness among urban people about issues related to the food system, and makes them more politically active, that’s good. And also, something I failed to mention, urban agriculture can be an important source of nutrition (and potentially also livelihood) for some of the most marginalized communities in urban areas. But we cannot let urban agriculture distract us from the problems of rural areas. Granted, it’s not a zero-sum game. But I have heard enough people say “If only we grew all our food in urban areas”, and felt compelled to write my piece. I am encouraged to see other thoughtful pieces that are part of this roundtable. I look forward to reading all of them in due course. I actually believe that it is extremely unlikely that a city can grow all its food, but that does not mean it’s not worthwhile to grow a considerable amount locally. Being close to vegetables and appreciating them will surely make people more responsible consumers when they supplement their home-grown produce with items from the supermarket…..
I’m a former school and community garden manager, so I am very much in support of school gardens. School gardens teach a lot more than just how to grow food. But school gardens don’t address poverty and lack of access to affordable fresh food for many people living in cities. If people are scrambling to make enough money to pay bills and feed their families, gardening may not be a priority and produce grown in the city likely won’t be price competitive with cheap industrial food. For families with underemployment problems, gardening or even market gardening potentially provides an alternative source of food or income. The prompt specifically asked about the sustainability of urban agriculture defined “as the production of food in and near cities at scales larger than home or community gardens.” I think there is no doubt that home, community, and school gardens do contribute to sustainability, education, and quality of life in the city. Thanks Naomi, and I don’t disagree. Evan and I alluded to that in our contribution to this discussion above. There are some terrific programs out there that not only equip students with food-literacy knowledge, but also provide them hands-on experience growing food. (Vancouver’s “Fresh Roots” schoolyard farms program is doing some pioneering work!). That said, even if we were all interested and confident to grow food, Navin’s research shows that planting over the majority of the surface area of our cities for vegetables still wouldn’t be enough to feed us all. But you’re right; at least it would be better than what we currently have, in terms of increased access to fresh, local food, and for climate change mitigation! I believe we are underestimating the potential role of formal education in teaching children the importance of healthy eating, and the role of local food growing. If all kids were to experience the process of growing food in their school yards, and thereby gain gardening skills, as well as learn about the connection between climate change and local food production, at the very least we would see a new generation of young adults for whom local food is a matter of lifestyle principle. I am excited to see all these perspectives showcased together and number of them particularly resonated with my own recent thinking; those from Jane Battersby Navin Ramankutty, and Innisfree McKinnon. It seems like many of us are calling for a carful consideration of urban agriculture instead of framing it as a panacea for urban sustainability, and in particular food system sustainability. These contributions made me think of a recent blog post by Ethan Zuckerman from the MIT media lab discussing the importance of focusing on the “right” problems. He was reflecting on an essay about “solving” the violence problem in U.S. prisons with technology (virtual reality) and put forth that regardless of the solution being put forth in essay he was critiquing, the author was probably not looking at the right problem (instead of focusing on how can we make prisons better, should we rather be trying to figure out how the U.S. can incarcerate less people for example). Urban agriculture may indeed be part of a tool-kit for sustainable cities and food systems, but what is the problem we are actually concerned about? Is it food quantity, food quality, food access, environmental integrity? I think we are interested in all of them, but urban agriculture probably can’t solve all of these dimensions, maybe not even one of them alone. We still need more research on the direct benefits of urban agriculture in cities, but I think many of the contributions are calling for the development of robust research into the indirect benefits of urban agriculture on the larger food system so that we, as urban citizens and governments, do not over- (or perhaps under-) invest in urban agriculture as a strategy to solve the sustainability problems we care about, especially those that involve urban and rural linkages.